It seems unbelievable that only two short weeks ago, the biggest annual European gathering of Cisco customers, distributors, partners and general technology enthusiasts came together at Cisco Live! Europe 2019 (or #CLEUR for those who love a hashtag!). The week-long conference that brings together education, connection and inspiration to help businesses build and grow their digital futures through direct learning from our best and brightest minds was our biggest regional event ever this year. The show once again saw a European city de choix for the grand technology fanfare. Known for its awe-inspiring architecture, tantalising tapas and a fairly famous football team you might have heard of: FCB. Yes, we were saying ‘Hola!’ to none other than beautiful Barcelona as nearly 16,000 people descended up on the Fira Gran Via for the 28th edition of Cisco Live! Europe. And in 2019, there was no missing Small Business right at the centre of the action with its very own new event: Small Business Live (and of course there was a hashtag! #CiscoSBLive FYI). The inaugural event kicked-off with high energy and impact as VP Global Segment Marketing, Jeremy Bevan took to the stage to deliver an impactful opening presentation ‘Small Business is Big Business’. He set the tone for the day by declaring “The divide between large enterprise and small business isn’t really a divide anymore” – sharing his insights around digital transformation, the democratisation of technology and innovation. Discussing, the notion of small businesses having bigger opportunities than ever before in today’s market, particularly with the availability of enterprise-grade technology. Digitisation and the future of work means smaller companies are well placed to push valuable outcomes further and faster than their larger competitors. We believe workplace evolution help small businesses outcompete enterprises. Now you can get the same enterprise-grade experience from a technology vendor that you know and that you trust, tailored to your needs. Technology that works. Systems that are simple to choose, scalable, easy to implement and use, but also (and perhaps most importantly) are robustly secure. “It’s about what could now be possible for small business by deploying Cisco technology” Jeremy Bevan concluded before he handed the stage over to his counterpart for the day, Bastiaan Toeset, VP Global Small Business. The theme of security continued as Bastiaan told the audience “Security is top of mind and everybody is vulnerable…small businesses need to be protected even more”. It’s true. 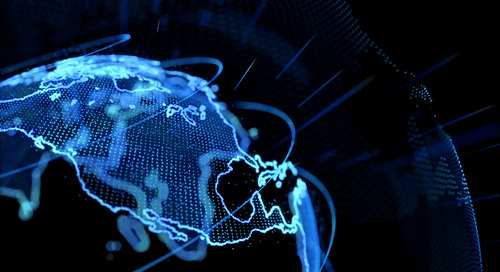 Today’s threat landscape is more complex than ever before and small business security challenges are real. The need to protect intellectual property and basic information – with typically with lean resources – is paramount. These topical discussions and themes were what Small Business Live was all about. Understanding that we have technology solutions in our portfolio that bring a class of solutions that were previously only ever considered for an enterprise class of business, now available to the small business world – where we are working with you, to make technology that is simple, scalable and affordable for small businesses to consume and use. Technology also making a real impact on the world and our communities. Being the bridge between hope and possible. Connecting a business like Orange Sky, who provide amenities to the homeless. It wasn’t just a day full of Small Business thought leadership, trends and insights though, no. On the show floor we had technical education in our demo pods and customer advocacy with The Gateway, our exclusive home for the Cisco customer community. The Gateway allows members to meet like-minded peers, discuss technology and build their personal brand through advocacy. Find out more about The Cisco Gateway here. Our highlight of the day came in an unusual form though: one of a dragon! We were lucky enough to be joined on-stage by a fantastic guest speaker: businessman, entrepreneur, non-executive advisor and former Dragon’s Den (a.k.a. ‘Shark Tank’) investor, Piers Linney. Piers joined us to talk with his trademark inimitable and inspirational style as he explained his ‘5 Key Small Business Growth Factors’. Not only this, but he also played host to our dedicated customer panel, hearing directly from four unique European small businesses about their experiences, challenges – and solutions. We’re aware that not everyone got to be at Small Business Live so, to make it feel like you were there, here is a quick in case you missed it (#ICYMI – sorry, couldn’t help it!) roundup of all the main small business action straight from the event to feast your eyes on. That’s a wrap for another year! Now that we have survived Christmas, Dry(ish) January and hopefully found a Valentine, as February draws to a close, we will take all the learnings from Small Business Live 2019 forward to win continue with growth, transformation and success for the full year ahead. 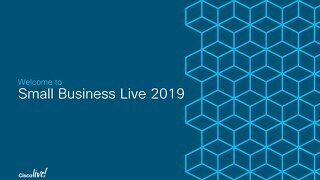 Find out more about attending Cisco Live Europe 2020 here. 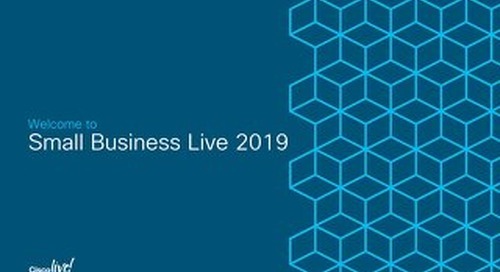 Details about the Small Business Live 2020 event to be hosted there will be shared in due course. 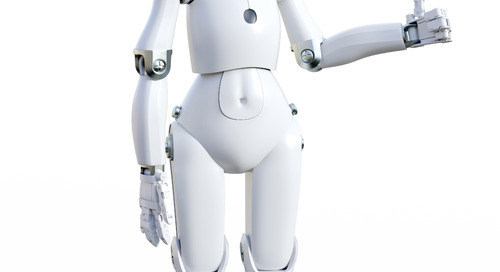 Interested in transforming your workplace with the latest technology? Discover more about how you can Connect, Secure and Meet in your small business today.